I arrived about the time it began – close to 7pm and it was fun to watch. While I gained a little “dance floor confidence” at my brothers wedding a few weeks ago – I wasn’t quite ready to join the locals on the concrete as they moved about to the beat. Out of reach, I snapped photos and video of some interesting characters moving and grooving to kick off their weekend. One young girl just rolled around on the ground. Another guy, shirtless, did some sort of bizarre dance and other women were attempting some form of belly dancing. But, the drums were the main feature – and the crowd got larger and larger. It’s certainly worth witnessing if you’re in Asheville on a Friday night. 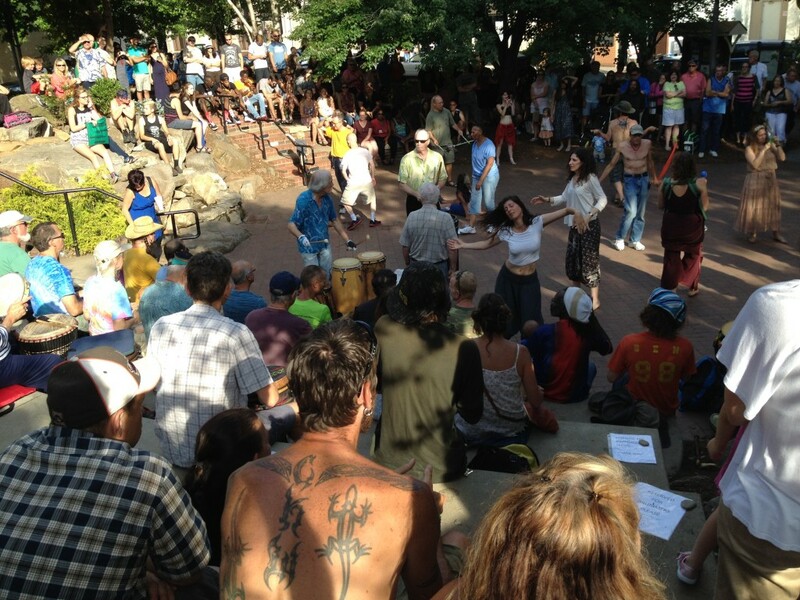 Come for the drums – stay for the people watching!